Welcome to Day #9 of Chocolate, Enchanted Islands and Pirates Theme Week. 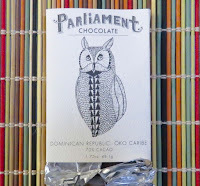 Today's enjoyable Dominican Republic Oko Caribe 75% Cacao bar was from Parliament Chocolate (Redlands, CA). 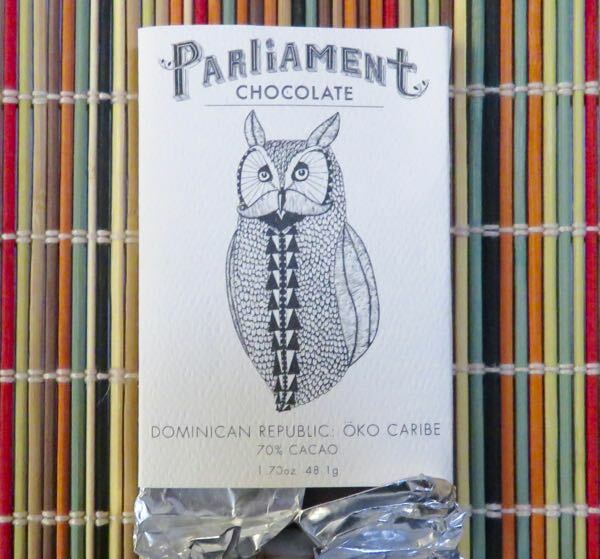 This smooth, medium-bodied (but intriguingly flavorful) dark bar had lilting hints of dried pears, dried golden plums and dried grapes.